Another alternative residential construction trend (like tiny homes) gaining momentum is the “barndominium” movement. Barndominiums are typically metal buildings that have been transformed from structures previously used for fully-functional industrial or agricultural purposes into residences boasting affordability, low maintenance and energy efficiency. These structures stand apart from traditional and tiny homes in that they may literally have been a barn or warehouse that has been renovated to include several rooms, bathrooms, kitchens and other living areas. They often have open floor plans and can also be dual-purpose—combining a residence with areas used for other functions such as offices, garages, workshops, places of worship or meeting centers. Barndomiums are highly customizable and can deliver an owner all the creative possibilities of a traditional home. Like their standard tiny home counterparts, they offer a low-maintenance lifestyle at a more affordable price, but with the opportunity to live in a larger space and to incorporate larger workspaces into one inclusive property. Generally speaking, these high-functioning, low-cost structures include everything you would expect a residential structure to include: energy-efficient windows, stained concrete floors, engineered concrete slabs, spray foam insulation, plumbing and even 9-foot ceilings. (1) In addition to basic living space and plumbing, barndominiums can offer specialized add-on options such as air-conditioning units, hardwood floors and even hot tubs. What most barndominiums have in common, size notwithstanding, is they are usually made of metal. 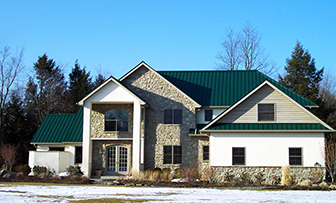 Why Choose Metal Roof/ Siding for Barndominiums? Developing a barndominium will usually mean you’ll be working with a steel post-frame building, which naturally lends itself to the use of metal as the primary material for the entire construction. Building with metal will mean less concern about roofing and foundation problems, as well as other issues commonly encountered with a traditionally-built home. 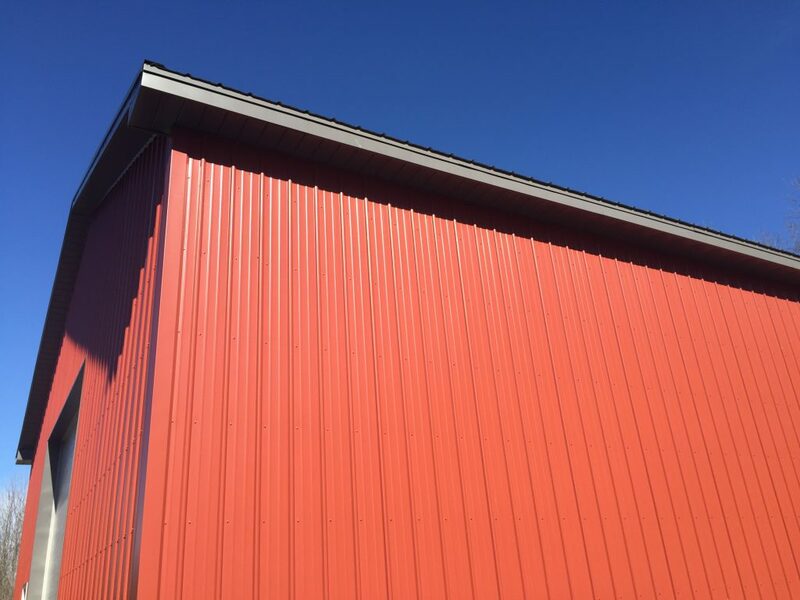 Metal roofing and siding solutions for barndominiums carry the same benefits as for tiny homes—or any other structure for that matter. Beyond color choice and aesthetics, metal panels are readily available and offer durability, wind resistance and recyclability—all contributing to overall affordability and long-term sustainability. While there are other roofing materials that can be used, metal remains the go-to choice. But isn’t metal roofing more expensive? The initial cost of a metal roof does exceed other materials, such as asphalt, slate or tile; it’s understandable that this could give builders pause. Industry statistics estimate that the average cost per square foot for a metal roof is approximately $3.00, compared to asphalt shingles at $1.50. This up-front cost, however, is just the first part of a much larger story. Metal provides improved strength and durability, resulting in significantly lower maintenance and energy costs over time. Over a metal roof’s lifespan, in fact, shingles can cost just as much, if not more (2), contributing to the cost-efficiency of the design and construction. Additionally, since metal barndominiums can be pre-engineered and prefabricated offsite, new construction costs are reduced throughout the entire process—from design through to construction. This means a measurable savings in labor costs due to a streamlined, abbreviated construction timeline. While barndominiums might be the wave of the future, there are still some practical factors to bear in mind. Compliance: For one, since barndominiums may have the unique function of serving as both a living and working space, it is important to check (in advance!) local zoning regulations to ensure the property is zoned for a metal barndominium. Also, ensure the building materials chosen are suited to the specific climate and location. Quality: Furthermore, and perhaps most important, make sure the manufacturer is reputable and that the materials used are high-quality and efficient, which should equate to better warranties and longer life expectancy for the structure. For more information on metal panels for barndominiums, including recommendations on panel types and gauges for barndominium applications, please contact an American Building Components representative near you.